Dr. Joseph R. Hendrick, Jr.
Dr. Joseph Hendrick spends time getting to know the patients whom trust him with their smile. In today's rushed society, you will receive patient centered care because Dr. Hendrick takes the time to actually evaluate your specific dental problem. There is a direct link between oral health and overall health; Dr. Hendrick and his dedicated staff will help you design care specific to your needs. At Joseph R. Hendrick, Jr., DDS, PA our philosophy is to provide treatment to the whole person - with a special focus on how your teeth and gums relate to your total body health. We want you to be confident that your smile achieves your goals for comfort, function and appearance. We're here to make that happen. We also understand that choosing a Shelby dentist is an important decision. After all, your smile is your greatest asset and says a lot about your overall health. From the moment you walk in the door, you'll be welcomed by a caring staff in a relaxed, stress-free environment where the whole family can feel at ease. We are now merging with the practice of Dr. Neal Spangler as he enters a new phase - retirement. 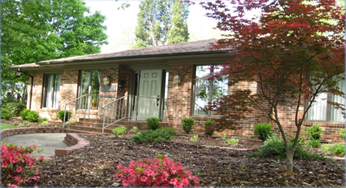 We would like to welcome Dr. Spangler's patients into our practice in Shelby, NC. Joseph R. Hendrick, Jr., DDS, PA offers a full range of general, cosmetic and restorative dental treatments at our office to help you achieve your perfect smile, such as teeth whitening, crowns and bridges, Clear Aligner Tooth Straightening Systems, preventive care or dental implants. We utilize the latest in dental technology and techniques in order to offer you the best preventive care and treatment available in Shelby. Each patient receives a thorough exam as well as a cancer screening at each hygiene visit. To learn more about our comprehensive services offered, by one of Shelby's most talented dentists, take a few moments to look over the informative pages on our website. For additional information, you can always contact our office by calling or stopping in. Relax with confidence at Joseph R. Hendrick, Jr., DDS, PA. We're your neighbors and we're here to help you maximize the health of your smile. 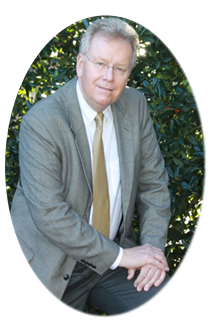 Dr. Hendrick has been serving the families of Cleveland County since 1987.